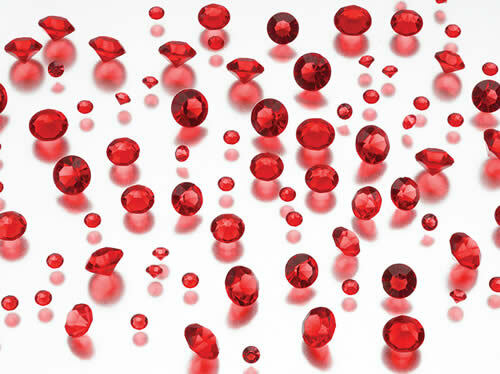 Decorate the reception table with red-colored diamond confetti. These diamond-shaped acrylic confetti are packaged in a clear display box (1.875" x 4" x 1.75") with decorative labeling. The package contains 350 pieces in assorted sizes (ranging from 0.5" to 0.125"). Also available in aqua, clear, hot pink, pink and purple.